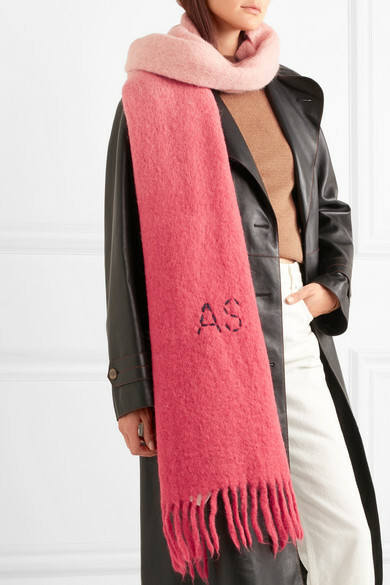 When it's the time of year to cover up and stay warm, vibrant accessories like Acne Studios' scarves are the perfect way to brighten your mood and outfit. 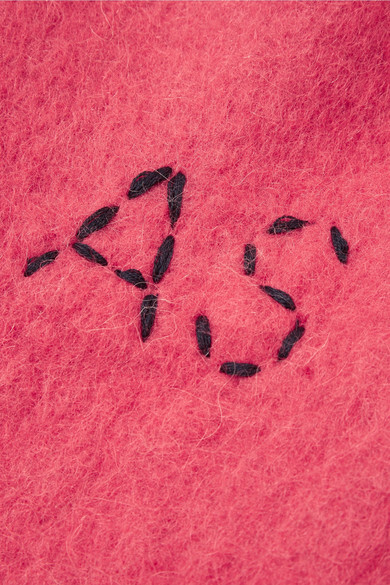 This 'Kelow' felt style is woven with fuzzy alpaca, wool and mohair in ombré shades of pink and red. It's embroidered with the label's initials and edged with soft fringing. Shown here with: Carcel Sweater, Helmut Lang Jeans, JW Anderson Shoulder bag, Isabel Marant Ankle boots, Vetements Hat, Jennifer Fisher Earrings.